Every manufacturer has to deal with asset management and unfortunately, it’s an area that is fraught with inefficiencies. This is primarily because managing assets requires approval from multiple departments and, therefore, is managed by multiple technologies. 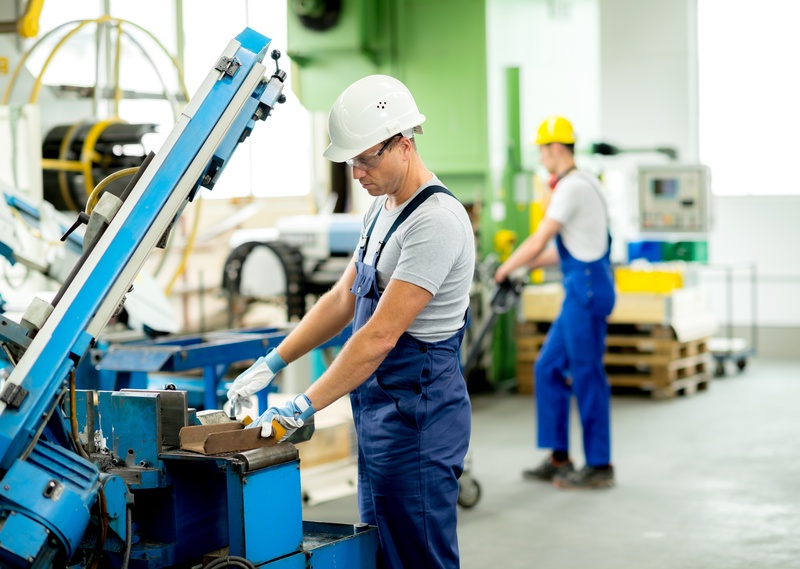 In this age of digital transformation, every manufacturer should consider a new management solution, like Dynaway Enterprise Asset Management (EAM), to eliminate silos and increase productivity across the company. To understand exactly how a modern EAM solution can transform daily life within a manufacturing company Bill Moffett, Global Industry CPM – Manufacturing at Microsoft – sat down with three Dynaway customers: Matt Conard, Natalie Oppel, and Kelly Kane. Matt Conard is the Business Process lead and Natalie Oppel is a Business Architect for Kent Corporation, a leading manufacturer of food products. Kelly Kane is the Manager of Information Systems for Algood, a premier packer of private label food products. How were you managing assets before implementing the Dynaway EAM solution? Matt (Kent Corporation): We had our old plant maintenance system that was built on the AS/400 platform. It was over 20 years old. Kelly (Algood): It depended on location, but we were mostly using spreadsheets and SharePoint forms. We also had had an access-based program called CWorks and an accessory inventory program called WASP. Believe it or not, we even had one location that was still using paper forms and binders. What sort of challenges did that approach present? Matt (Kent Corporation): We had two facilities that were using the archaic AS/400 system, and they weren’t even using it in the same way. Worse, it didn’t communicate with our procurement and inventory systems. Kelly (Algood): When you have multiple management systems, it’s really difficult to ensure that records are accurate and readily available. Every time an employee wanted to know the maintenance history of a particular asset, they would need to consult each different system and cross reference the records. To put it simply, it was a lot of manual work. How did that manifest itself for the people in your organization? Were some roles affected more than others? Matt (Kent Corporation): Our maintenance planners were basically reacting to the paperwork coming in; nobody was monitoring whether the work was getting done. When we decided to adopt Dynaway EAM, we had over 10,000 unresolved work orders. The planners and the maintenance supervisors were most impacted, followed by the department superintendents—who are responsible for the budget but didn’t have the visibility to see what work orders were outstanding. Why did you choose to implement the Dynaway EAM solution over other solutions? Matt (Kent Corporation): We looked at a couple of different maintenance solution including the supposed “best on the market”, but it was very expensive and they required you to use their warehousing and their accounting functionality. We already had that base functionality in Dynamics AX, and we wanted to extend to new capabilities in a cost-effective way. With Dynaway, we received excellent EAM software at a great price. Kelly (Algood): For us, the powerful mobile client was the key differentiator. We looked over a lot of different solutions, and Dynaway was the obvious frontrunner. It was easy to understand, easy to use, and it required far fewer clicks to navigate. I’m hoping you can talk a little about the implementation process – was it easy? What did that look like for your company? Natalie (Kent Corporation): We had meetings about two or three times a week with our project team to talk about how we wanted to configure and design our setup—ensuring that the people who would be using the software got everything they needed. As a parallel effort, we set up templates to get everything converted into AX. Dynaway was very, very good to work with and made things a lot easier. Kelly (Algood): Agreed, it was very easy. We had an initial sit-down with Dynaway to map out requirements and establish success criteria. Their team was instrumental in helping us understand the Dynaway product end-to-end. They guided us through common setup scenarios and helped us make the best choices for our company. Once we figured out the setup scenario we wanted to use, we had it installed in our test system. It wasn’t very long until the maintenance team wanted to use the Dynaway system in production so we actually rolled out the system ourselves. Dynaway reached out a few weeks later to ask when we would be ready to switch to production, and I told them we already had! It’s been one of the best implementations that I have ever been involved with. Talk about the process of getting employees to start adopting the solution. Matt (Kent Corporation): We set up several classrooms for different roles at our company, and we trained 500 to 600 employees over a two-month period. When we went live, we basically shut down the old system, so everyone was forced to utilize the new system at once—and it was truly a non-event. Natalie (Kent Corporation): We had power users from each site that were involved from the get-go. They really knew the system inside and out, and as we got closer they started pulling in additional people as helpers, so we had a good base of people at go-live that understood the system really well. Kelly (Algood): We had one tech-savvy project lead from each of our locations start learning Dynaway EAM in advance. Having these power users up-to-speed on the product at the outset really helped to drive adoption and buy in. These power users can help others understand how to use the product, and as more people get on board, it saves us time and money. Now that everyone has been able to use it, everyone seems pleased with how easy it is to use. Obviously, nothing is perfect and we will continue to refine the deployment, but our employees absolutely love the solution and user adoption has been a success. How has your organization benefitted from implementing Dynaway EAM, particularly regarding your work with consumable items? Matt (Kent Corporation): We are a food grade ingredients manufacturer. Our customers, our insurance company, and external government agencies all want to monitor different aspects of our production, whether it’s a critical control point or an environmental point. Dynaway enables us to streamline and prioritize audit activities. When audits come up, we can easily segregate what the auditor needs to see and give them the list of all the things that have happened within the priority list, which reduces the amount of work we have to do. Natalie (Kent Corporation): Our individual departments have a better idea of what their maintenance costs are and what activity is going on in their department at any given time. How has it improved the lives of your employees? Kelly (Algood): It’s drastically expedited the data entry process. Prior to the deployment, most of our maintenance team would spend the last few hours of their day finishing their administrative work. This is not only inefficient, but it also decreases accuracy since the technicians have to recall what they did throughout the day. Once technicians saw how the solution would transform their data entry routine, they all wanted to get on board. How does Dynaway EAM help staying compliant in multiple markets, such as export and government? Kelly (Algood): Being able to easily report what work we’ve done on every piece of equipment is huge for compliance. In the event of a product recall, it’s crucial to find exactly when and where something might have been introduced into the product. Before, this effort was painfully manual and required digging through spreadsheets, SharePoint lists, and other entry forms for the name of an asset or the date the work was done. With Dynaway, everything is already recorded in one system as it occurs, which gives us a good handle on what’s truly happening and enables us to refer back to any particular moment in time quickly. How do you see Dynway EAM working with the future adoption of technology, such as IoT and predictive maintenance? Matt (Kent Corporation): We want to get away from scheduling maintenance on a set schedule, and really get into predictive maintenance. Instead of changing the oil every 30 days, the system would automatically request a work order based on analysis of the historical data, predicting when maintenance is needed before assets even start to perform poorly or fail. Kelly (Algood): We have flow meters, scales, and a variety of other assets that we’d like to be able to connect to the Dynaway system. This will make it possible to see, for example, how many times something has rotated. We can then leverage and analyze that data to automatically schedule maintenance around actual use, instead of making an educated guess and manually scheduling maintenance on an estimated timeline like every two months. Is there anything we missed that should be mentioned? Matt (Kent Corporation): I can never say enough about Dynaway. They listen, and they are concerned with how well we are using their EAM system and how it’s working for us. I can’t say enough of how good of a partner they have been.